Safety and security are a top priority for everyone. Give us a call today for a free quote! On-Site Service - We come to YOU! The craziest things imaginable are pretty much guaranteed to happen at the worst possible time. When you need a locksmith to come to your rescue, we'll be there. Rain or Shine. Day or Night. It's funny how most people in Alabama never even think about a locksmith until the moment they need one. Many of our customers are surprised and amazed. A few have exclaimed "I've never met a locksmith before" while others lovingly joke "they hope to never see us again!". While it is true that most customers are one-hit wonders, we do have some pretty loyal customers! We appreciate that! If you are searching for a locksmith in Alabama to meet your needs, we invite you to consider us! We are Unlock it For Me. Licensed & Insured with over 20 Years of combined experience. We will take care of your Alabama locksmith needs. UnlockItForMe is a proud member of the Alabama Locksmith Association. 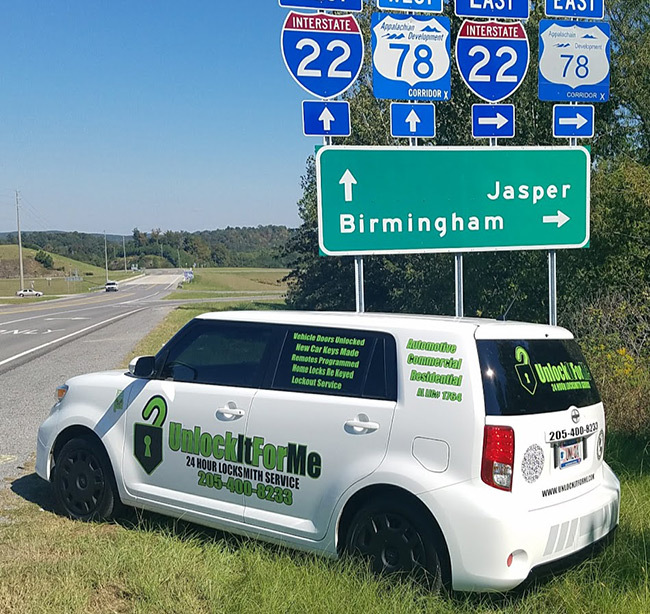 Their mission is to provide locksmiths in Alabama with the latest available tools and techniques, as well as advanced high-security products available throughout the industry to keep homes and businesses in our state safe & secure. The association holds Alabama locksmiths to a high standard because of this. We take security seriously. Alabama State law requires that all locksmiths must be licensed. Every licensed locksmith is issued and should carry on their person, a photo ID card. Demand to see this card before doing business with any locksmith in Alabama. The Society of Professional locksmiths is a global organization of certified professional locksmiths and security experts. UnlockItForMe's Robert Burns is a Registered Member of the Society of Professional Locksmiths in Alabama. They promote the educational advancements and economic interests of their members and are committed to improving conditions and raising standards through the delivery of education and peer review. The Society of Professional Locksmiths is, just that. A professional organization that embraces all levels of skill and expertise of locksmiths. The AESBL is the governing authority over all locksmiths in Alabama. Be sure that you are dealing with a licensed and insured locksmith. Visit the AESBL website to learn more about locksmith licensing and view locksmith companies who are licensed to do business, as well as a list of those who are not. Click Here to view the list of licensed locksmiths in Alabama. Avoid locksmith scams. Deal with a professional.